PTFE Glass Cloth Tape has many different total-thicknesses including 0.08mm, 0.13mm, 0.18mm, 0.25mm and 0.30mm. PTFE Glass Cloth Tape has many different total-thicknesses including 0.13mm, 0.18mm, 0.25mm and 0.30mm. With the great effort of our company technical team, the 0.08mm tape has become a mature product. Other special thickness is 0.15mm and 0.20mm. Besides, antistatic PTFE glass fiber tape is gaining more customers by the steady properties. As it is made of high performance fiberglass coated with good-qualified PTFE resin, it not only owns all the characteristics of PTFE fiberglass, but also has its unique advantages. PTFE Glass Cloth Tape is usually used in many heat sealing machine to prevent the food, medicine and plastic bag from sticking. The excellent convenience and cost reduction allow to widely use in the surfaces of drying machine, lining machine, paper machine, running and compression roller, slasher cylinder and other regular objects. Compared with the spraying technology of PTFE resin, it make the related work more and more efficient. Workers also make use of it in thermoplastic stripping because of its unique advantages. 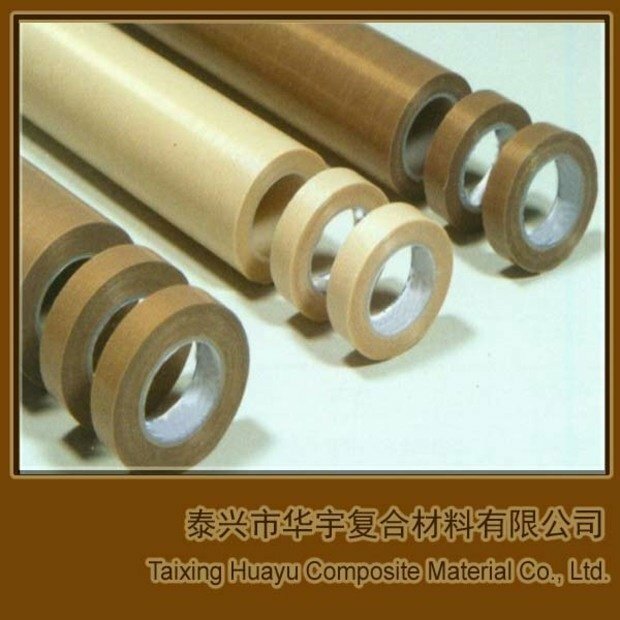 About the tenderer: Taixing Huayu Composite Material Co., Ltd.
Taixing Huayu Composite Material Co., Ltd. manufactures PTFE Coated Fiberglass Fabric，PTFE Tape, PTFE Glass Cloth Tape, PTFE Film Tape PTFE belt.